I got to know Patrick in 2013 when I sent a short story to Calamities Press, a website he admined. Then I sent them another short story and it became a series, Patrick was always very kind and encouraging towards my writing and he helped me a lot in starting out as an English language writer. I’ve read the first volume of his series The Greenwood Diaries, which was a dark and chilling read. I read it in the middle of the summer but it still sent shivers down my spine. It has a very special atmosphere and unique monsters. Patrick also writes non-fiction about the dark things of life which inspire his monster. These pieces are very touching and honest and made me cry on more than one occasion. 1.What are you currently working on and what is it about? I’m currently working on a collection of nonfiction essays for traditional publication, which deal with me using monsters to confront my depression. It is a very much a “How I Got This Way” sort of story, only with more faceless abominations and brutal antidotes about self-mutilation and suicide. I’m also releasing a collection of fictional documents about a monster contained in a forest in a dystopian future called, DOL 39. This will be released on the Kindle on Black Friday. DOL 39 is a fictional metaphor about trying to contain my mental illness and how I use a variety of forces to stay in control. 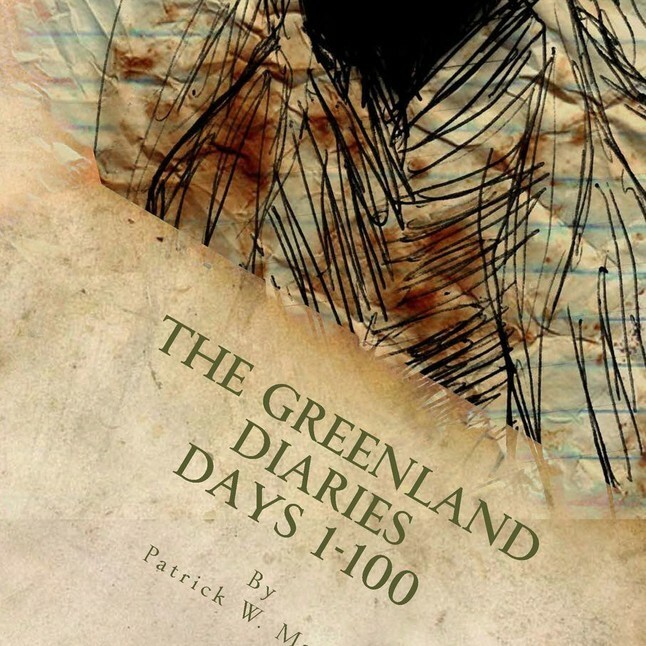 I’m also working on the third book in my Greenland Diaries series, Days 141 – 200. This will be released in Fall of 2017. I will also be publishing nonfiction essays on my blog, along with flash fiction from the universe’s of my novels. 2. When did you decide to become a writer? I think I was about 15 when I decided to become a writer. I wrote a Flash Fiction piece for a literary magazine my high school released, and it was accepted and published by them. It was crazy. That little publication gave me a ton of confidence. I also liked the feeling of being in control of my voice completely. I could go anywhere I wanted on the page. I wasn’t limited by special effects, cooperation, or any other creative shackle. This was amazing to me. It still is after all these letters and words. Since then I’ve never looked back. I’ve flirted with the idea of film, comic books, or other cooperation’s. I’m very much a pure bred writer. 3.Do you read much and if so who are your favourite authors? I haven’t been reading that much the last few years, or at least since I’ve started writing and releasing my own books. I’ve been reading blogs, other writer’s works, and articles more than anything. The last book I read was a collection of poetry by a local Minnesota poet called Black Aperture by Matt Rasmussen. This is a great group of poems about Matt’s brother committing suicide in a small Minnesota town. Some of my favorite authors include John Gardner, Ray Bradbury, and Cormac McCarthy. Gardner wrote the book Grendel, which was told from the monster’s POV, which deeply influenced my voice and helped produce my novel Beware the Ills. Bradbury wrote The Martian Chronicles, which was a collection of logs and stories about trying to colonize Mars. This structure is something I loved, and imitate it in DOL 39. 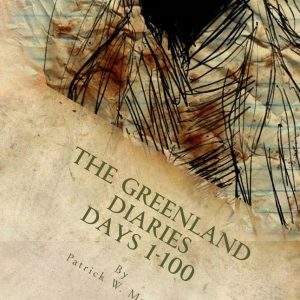 Cormac McCarthy brought poetry to apocalyptic fiction in his novel The Road, which I try to do with my series The Greenland Diaries. I like self-publishing. I have been traditionally published as well. Would I like to have some massive traditional publishing deal where I don’t have to worry about marketing, distribution, and other things, of course! I’d love it. However, sitting on your stories for forever is not a good thing either. Other people will have similar stories and they might beat you to releasing them. It is very important for other writers to realize this phenomenon. We are all products of our environment. Thanks to globalization we all sort of have similar experiences, especially if you’re working a 9 – 5 job. It is only logical that we all want to write the same stories too. Don’t let someone else beat you to the punch because of your own arrogance. Everyone starts small. Get your story out there. You can always revise, rename, and reanimate it in the future. We’re lucky to have the internet and also the technology for self-publishing. We couldn’t do this twenty years ago. 5. Is being a writer a gift or a curse? Being a writer is a gift. I’ve never thought I’m cursed. Do I get jealous sometimes of those cube zombies who can work the 9 – 5 doldrums and be happy? Yes, but the envy is very fleeting. Writing allows me to be myself no matter what is happening around me in my physical environment. I can communicate in any genre, style, or forum. I have complete freedom. Sometimes this can feel paralyzing, but overall it is a good thing. I’m always happiest when I’m writing everyday and getting my projects done. You must reward your thoughts by making them real. We’re writers. This is what we do. Hello Patrick and Fanni! Nice to meet you both. I love that question about writing being a blessing or curse. I feel both ways some days (hello insomnia! ), but mostly that it’s a blessing.